This article is based on a scenario that I encounter as a litigator all too often. "You," for purposes of this article, have entered into a long-term contract with Company, Inc., an Oregon corporation. The contract may be a credit agreement, a supply agreement, a commercial lease agreement, or another agreement under which Company, Inc. has various ongoing obligations. At some point during the term of the contract, the Oregon Secretary of State administratively dissolves Company, Inc. for failure to renew when required, or Company, Inc. dissolves itself. Immediately on the dissolution, Company, Inc. is legally authorized to wind up its affairs and liquidate its assets. It can no longer lawfully conduct business. There is a similar law that applies to limited liability companies. This means that Company, Inc. is no longer the entity that is conducting business with your company. Arguably, you are now conducting business with one or more principals of the former Company, Inc., or perhaps with some other successor entity. If the principal or other entity continues to perform under the agreement, why does it matter? Generally, you want to have a direct remedy against the operating entity if there is a default. For example, if the principal of former Company, Inc. registers a successor entity called Company, LLC to conduct the business that is the subject of your long-term agreement, you will want to enforce the terms of the agreement against Company, LLC. Certainly there are arguments that under these circumstances, you can enforce the agreement terms against Company, Inc., Company, LLC, and potentially the principal of these companies. But, there is no guaranty the court or jury would agree. Once a breach occurs or problem arises, there is a significant chance that Company, LLC would not voluntarily agree to be liable for Company, Inc.'s agreement obligations. In the context of litigation over the breach, this means that, in addition to proving the breach, you also have to prove that Company, LLC is liable for the terms of an agreement it did not sign. Also, if Company, LLC commits a tort that would be covered by insurance, but the insurance policy is in the name of dissolved Company, Inc., there is no guaranty the insurance policy will cover the claim as necessary to provide a source of payment. There are ways to minimize the chances of this scenario. Before a breach occurs or problem arises, you should periodically confirm the entity status by checking the Secretary of State records for the state in which the contractual party's entity is formed. If you discover the contractual party entity is dissolved, like Company, Inc. in this scenario, you may want to require the new entity, Company, LLC, to sign a new agreement or affirm the agreement with Company, Inc., to ensure it is liable for the agreement terms. Also, it would give you the opportunity to confirm the new entity carries insurance for the business's activities. 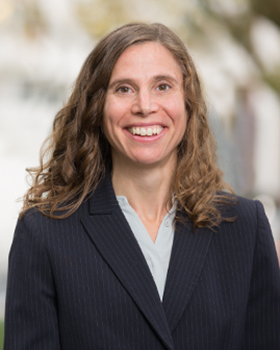 Laurie Hager is an attorney in the firm's litigation group. Contact her at 503-227-1111 or laurie@sussmanshank.com.